I have an award-winning book! Once Confronted, my first contemporary drama, gained the Literary Classics silver award in their college fiction category. The Heir (Verindon #1) also won a silver award in the science fiction category in 2014. This brings my total number of writing awards to four. I also gained two Australasian Religious Press Association awards in my days working for The Queensland Baptist newspaper. It’s such a thrill to win any award. This one has especially delighted me, given that the story of Once Confronted is so personal. After all, my protagonist, Madison, is the victim of an armed robbery, just like I was. Not only that, the book contains a strong theme of forgiveness, so I was never sure exactly how it was going to be received and this caused me a fair bit of angst. It’s satisfying to see it achieve something like this. 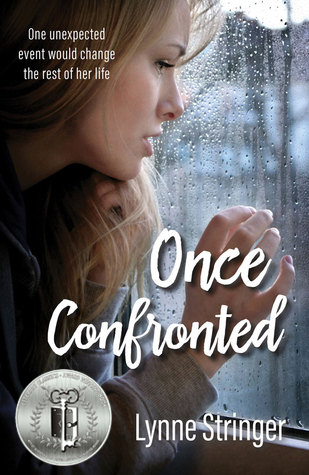 If you would like to buy a copy of Once Confronted, click here. Congratulations Lynne. A great achievement. Congratulations Lynne. That is wonderful news! Many congrats, Lynne! Wishing you continued writing success. Big congrats on your silver award! That is such an incredible honor!